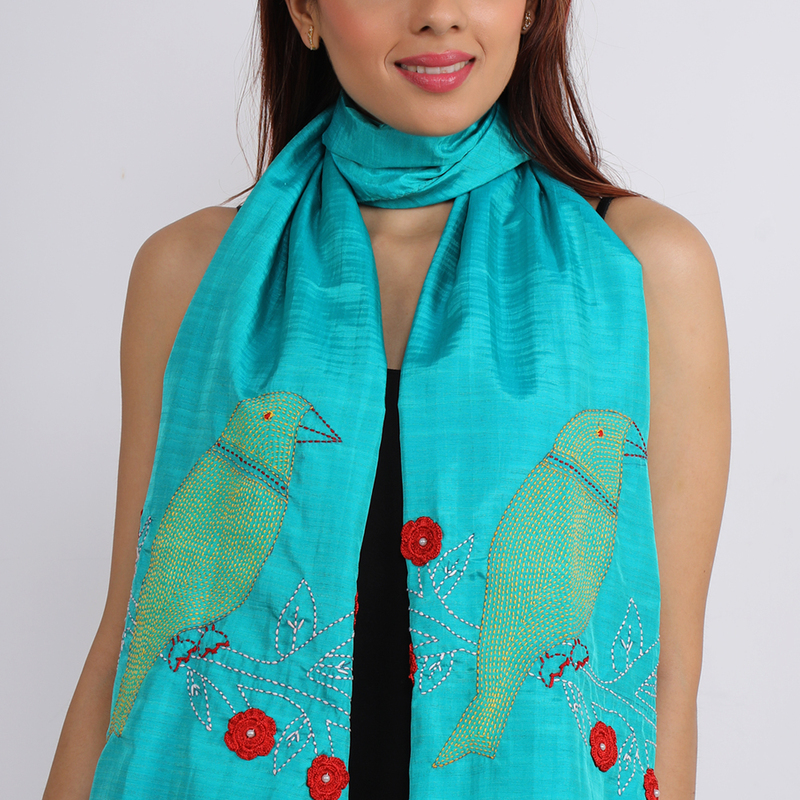 Reviving crochet and kantha hand embroidery. 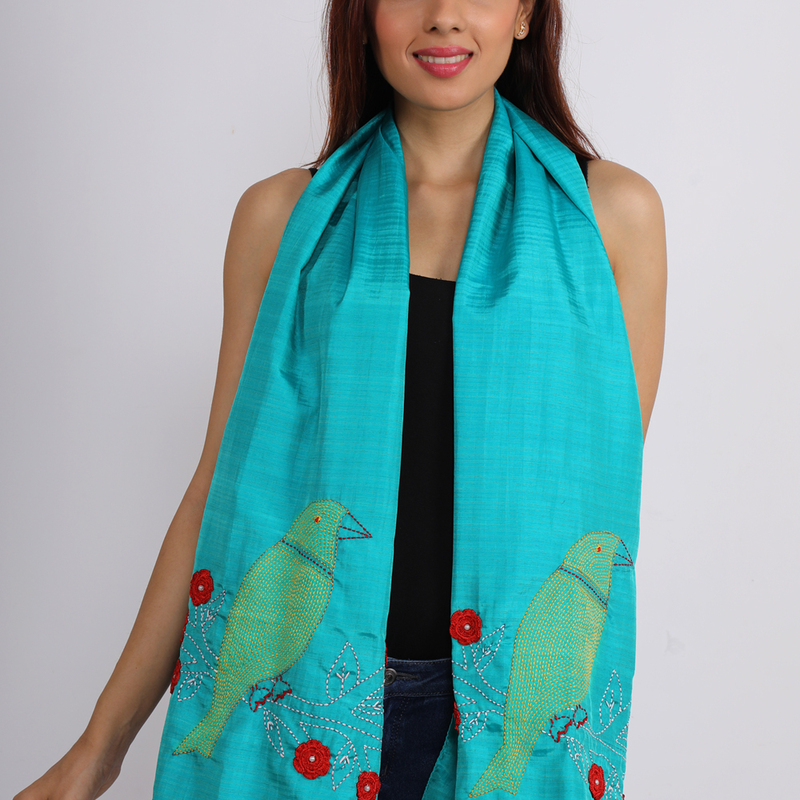 Handcrafted turquoise blue silk stole adorned with exquisite kantha embroidery. 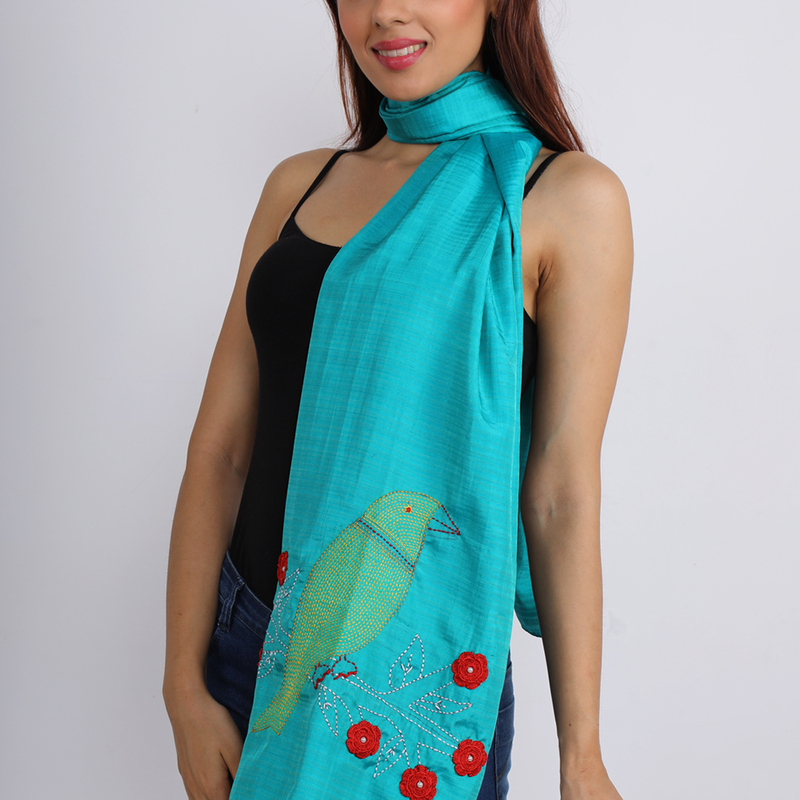 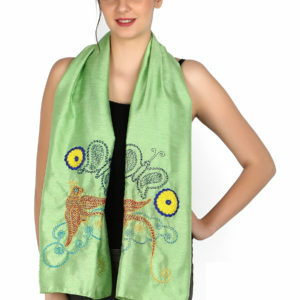 The soft turquoise blue silk stole with kantha embroidery in yellow and white gives it a unique look. 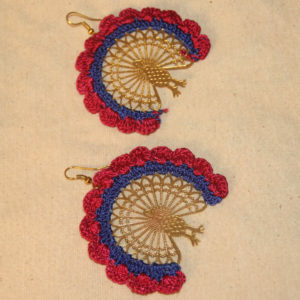 Beautiful red crochet flowers encriches its look. It can be paired with both casual and formal attire.